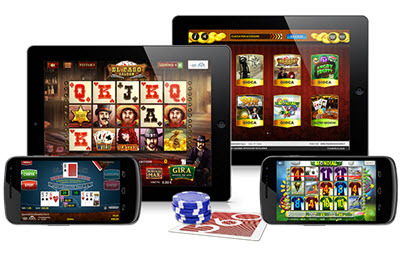 The online casino industry is a quick growing industry that can be very profitable to invest in. There are a number of publicly traded casino companies that you can choose to invest in. In this article, we are going to look a little closer at what you should think about before you invest in a casino company and what you should think about when you are trying to decide which company to invest in. Always try to diversify your investments if you invest in casino stock. Try to diversify your investments so that your investments are spread over a number of different companies in different countries. Regulatory changes can quickly change the situation on the casino market in a single country and having all investments in the same market can be very dangerous. Lower your risk by investing in casinos in different countries. Never invest your entire savings in casino stock. Casino stocks are generally medium to high risk. You should never invest a large percentage of your portfolio in casino stock. I recommend that you keep your investments in casino and gambling stock below 20% of the total value of your portfolio. Keep track of the regulatory situation. Internet gambling has traditionally been surprisingly unregulated. A lot of casinos have been using casino licenses from countries such as Malta, Cyprus, and Costa Rica to be able to offer online gambling. More and more countries are starting to require online casinos to be licensed in the country to be able to offer gambling in the country. This can have a large impact on the profitability of a casino. This is especially true if a casino is unable to get a license to operate in an important market. It is important that you always keep up to date with the changes in the industry. You need to know how future regulatory changes might affect your stock so that you can move out of stock that might be affected negatively. Regulatory changes can also be an opportunity to buy stock in casinos that are likely to get lucrative licenses. I always recommend that you visit and review the casinos that the casino operator are running. Is the casinos well designed and easy to use? Do they offer generous casino bonus codes? Do they seem to put the gambler first or do they seem shady? Only buy stock in casino companies that run very good online casinos, and that has a good reputation online for offering good games and excellent customer service. Less reliable casinos might reach large short terms profits but they never last long on the market and investing in a company that runs low-quality casinos can be very expensive. To do so is similar to buying at the top of a pump and dump. The only difference is that it is the casino’s results, not the stock that has been artificially inflated in a way that is not sustainable. I recommend that you read a lot of reviews about the casinos that are owned by the company you want to invest in. Avoid investing in a casino that has a lot of negative reviews. You want to invest in the best of the best.